Seated next to the away fans. 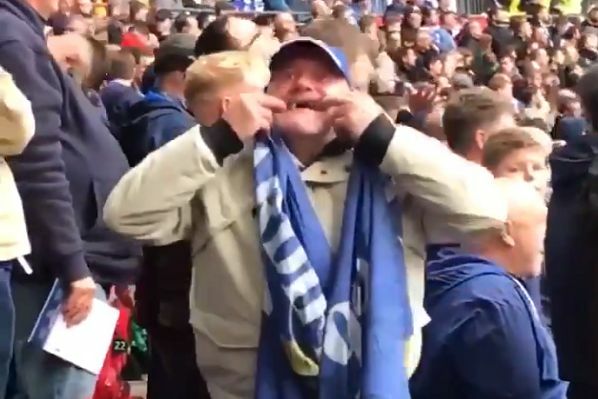 This Cardiff City fan pulled funny faces at Tottenham Hotspur supporters during his side’s 1-0 defeat at Wembley on Saturday. Filmed by someone in the home end, the man pulls at his mouth and makes screeching noises to taunt his rival fans. Eric Dier’s early goal for Spurs left Cardiff bottom of the Premier League table with only two points from their first eight games.